Executor Made Easy. 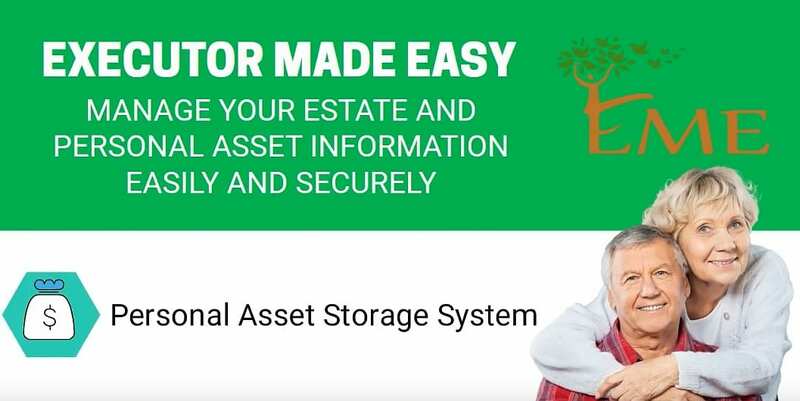 Your Personal Asset Storage System. How Easy is it to Set up and Use Executor Made Easy? Why is the Executor Made Easy System so Important? EME is designed to prepare for the inevitable and provide your Executor with the tools to efficiently and cost effectively finalize your estate. Click here for details about the system components and features. The Executor Made Easy System is extremely easy to join, add information to and maintain.